Born in Buenos Aires, Argentina in 1936. Faculty of Philosophy, Granada Spain. March 2013 Author of Medicina China. Claves Teóricas (“Chinese Medicine. Theoretical Keys”) published by Miraguano Ediciones Madrid, Spain. ISBN 978-84-7813-398-7. January 29.2013. January 29th.2013. Master Course of Acupuntura: classes about Meeting between Medicines.East-West. Valencia Faculty of Medicine. December 2011. Publishes in Chinese Medicine Volume 2,Number 4 (Scientific Research Publishing. University of California San Francisco, USA, http://www.scirp.org/journal/cm) the paper “The Pairing of Heart and Small Intestine”. July 5th, 2011. Presents a paper on “Oriental Medicines”in Online Course MCA, Natural Therapies”. Summmer Courses 2011, Universidad de Salamanca. Prof.Juan Antonio Rodriguez Sanchez. June 25th, 2011. Read a paper on “The Pairing of Heart and Small Intestine” at the International Course on Acupunture, Farmacopoeia and Traditional Chinese Medicine in Seville: ACMAS, SAME, Universidad “Pablo de Olavide”and Colegio Médico de Sevilla. May 28th,2011. Master Course of Acupuntura. Practical Work: pulse, tongue, points localization, needle pricking. February 4th, 2011. Master Course of Acupuncture: class on Fundamentals of Acupuncture,Concept of Desease.Etiology, Exogen Factors, Emotional Factors. Introduction to Pulse Diagnosis and other Special Methods. January 29th, 2011. Master Course on Acupuncture.Valencia Faculty of Medicine. Practical class: how to locate Acupuncture Points. January 30th, 2011. Master Course on Acupuncture: class on Extraordinary Meridians. December 2010. Publish a paper on Reflection on the History of Chinese Medicine. Revista Argentina de Acupuntura, Buenos Aires Nº 135. December 19, 2015. Full Day Single Lecture on “Introducción al Diagnóstico por el pulso y otros métodos Especiales” (Introduction to Diagnosis through pulses and other Special Methods) al Master Acupuncture Course, University of Valencia. November 11, 2015. Single Lecture on “Meridianos Extraordinarios Dummo y Remmo” (Dummo and Remmo: Extraordinary Meridians) at Master Acupuncture Course, University of Valencia. November 11, 2015. Single Lecture on “Localización de Puntos Principales de Acupuntura” (Acupuncture Main Points Location) at Master Acupuncture Course, University of Valencia. October 10, 2015. Single Lecture on: Historia de la Medicina China” (Chinese Medicine History) at Master Acupuncture Course, University of Valencia. September 27th. 2014.Presentation of the Master Course On Acupuncture at Colegio Médico de Valencia. May 30th. 2014. Speechs to medical staff at Centro de Salud de Denia on “Chinese Medicine”. (Scientific Research Publishing. University of California San Francisco, USA) the paper Pi Wei Xiang Biao Li and the Trajectory of Zuyangming. February 7th. 2014. Reads a paper on Zhuang Zi III Yang Sheng Zhu at FEIAP 2014. Meeting in Faculty of Philosophy, Granada Spain. January 24th. 2014. Speechs at Escola de Plástica Experimental (Gata de Gorgos, Alicante) on “The Concept of Void in the Far East”. October 18th. 2013. Master Course of Acupuntura: classes about Fire Movement Basic Syndromes andy Clinical Cases of Fire Movement. April 16th. 2013. Introducing the new book “Chinese Medicine. Theoretical Keys”, to the public at FNAC Alicante. January 29th. 2013. January 29th.2013. Master Course of Acupuntura: classes about Meeting between Medicines.East-West. Valencia Faculty of Medicine. October 24th. 2012. Takes part in the Round table discussion “Alternative Therapies” and reads her paper on Acupuncture in front of VIII Students Congress, Pharmacy School, Alicante. May 26th. 2012. Read a Paper on “ Energy Regulation with Acupuncture” at I Jornadas Alicantinas de Homeopatía, Acupuntura y Medicina Biológica organized by Colegio Médico de Alicante. January-March 2012. Publishes in Revista Internacional de Acupuntura Vol.6 Nº1. Edit.Elsevier “La Relación Anverso-Reverso de Corazón-IntestinoDelgado”. December 2011. Publishes in Chinese Medicine Volume 2,Number 4 (Scientific Research Publishing. University of California San Francisco, USA, The Pairing of Heart and Small Intestine”. Chinese Medicine, Vol. 2 No. 4, 2011, pp. 191-198. July 5th. 2011. Presents a paper on “Oriental Medicines” in Online Course MCA, Natural Therapies”. Summmer Courses 2011, Universidad de Salamanca. Prof. Juan Antonio Rodriguez Sanchez. June 25th. 2011. Read a paper on “The Pairing of Heart and Small Intestine” at the International Course on Acupunture, Farmacopoeia and Traditional Chinese Medicine in Seville: ACMAS, SAME, Universidad “Pablo de Olavide”and Colegio Médico de Sevilla. May 28th. 2011. Master Course of Acupuntura. Practical Work: pulse, tongue, points localization, needle pricking. February 5th. 2011. Master Course of Acupuntura: classes about Fire Movement Basic Syndromes andy Clinical Cases of Fire Movement. February 4th. 2011. Master Course of Acupuncture: class on Fundamentals of Acupuncture, Concept of Desease.Etiology, Exogen Factors, Emotional Factors. January 30th. 2011. Master Course on Acupuncture: class on Extraordinary Meridians. January 29th. 2011. Master Course on Acupuncture.Valencia Faculty of Medicine. Practical class: how to locate Acupuncture Points. December 2010. Publish a paper on Reflection on the History of Chinese Medicine. Revista Argentina de Acupuntura, Buenos Aires Nº 135. November 5th. 2010 Read a paper at VII Congress of FILASMA at Seville,Spain. October 29th. Read a paper at FEIAP “Spanish Forum of Investigation on Asian Pacific” at Zaragoza on: Chinese Numerology and Medicine. Medicine and second on Internal Organs in Chinese Fisiology. a paper about Goji berry. Ceremony which took place in the Paraninph of the University Complutense in Madrid. students in the last course in medicine at the Valencia Faculty of Medicine. Theme: Acupuncture Theory and Practices. 2008/2009 at the Universidad Complutense de Madrid on “Extraordinary Meridians”. by Miraguano Ediciones. Madrid, Spain. Acupuncture Medicine in Valencia Faculty of Medicine. to the Vocabulary of Chinese Medicine. Faculty of Medicine. Theme: Acupuncture Theory and Practices. October 19th 2007. Read at Facultad de Medicina Complutense de Madrid magistral conference for the opening of the Acupuncture Master Course: Problems with the Vocabulary in Chinese Medicine. October 6th /2007. Got the registration as Acupunturist in Alicante's Medical College, Non Conventional Medical Therapies section. September 2007. Publish a paper on Health and Desease Perception in the West and in the East. Revista Argentina de Acupuntura. Septiembre 2007. Nº 122 : 18-20. June 24th. 2007 Read at Facultad de Medicina Complutense de Madrid magistral conference for the closing of the Acupuncture Master Course: Health and Desease in Eastern and Western Medicines. June.2007 In Barcelona and during the 3rd International Medical Congress of Acupuncture have been appointed member of the Editorial Council in Revista Internacional de Acupuntura. April 2007-June 2007 Gave a Master Course in Naturalistic, Homeopathic and Acupuncture Medicine in Valencia Faculty of Medicine. April 23th,2007. Gave lectures on the subject of Complimentary Medicine for students in the last course in medicine at the Valencia Faculty of Medicine. Theme: Acupuncture Theory and Practices. September 18-21th, 2006. In Granada, read at Foro Español de Investigación Asia Pacífico (FEIAP) a paper on: Jing, meridian? June 18th 2006. Read at Facultad de Medicina Complutense de Madrid magistral conference for the closing of the Acupuncture Master Course: Void and Fullness Concepts in Chinese Medicine. June 1st 2006. Memory Previous to DEA and DEA Idea of he Body, East and West Perspectives, Comparative Approach are delivered to Departamento de Ciencias Sociosanitarias e Historia de la Medicina de la Facultad de Medicina de la Universidad Complutense de Madrid,Prof-Dr Luis Montiel Llorente. November 2nd-5th 2005. Read a paper on Health and Illness, East and West Perspective at the Congreso del Cincuentenario de la Sociedad Argentina de Acupuntura. June 16th 2005 -- Gave a discourse on the theme Occident Orient : Reciprocal Attraction? at the Tossalet del Carme for the Soltice Conferences organized biannually by the Chair of Philosophy of IESC Denia. 2) Illnesses in 20th Century Literature. June 2004-June 2005 lecturer at the Masters course in Naturalistic, Homeopathic and Acupuncture (Acupuncture section) Medicine in the Valencia Faculty of Medicine. Dec.2004. Shen,Hun,Po paper published by Revista Argentina de Acupuntura,111º p.
18-19 November 2004: gave lectures on the subject of Complimentary Medicine for students in the last course in medicine at the Valencia Faculty of Medicine. Theme: Acupuncture Theory and Practices. March 2004: Gave lectures on the subject of Complimentary Medicine for students in the last course in the Valencia Faculty of Medicine.Theme: Acupuncture Practices. Nov. 2003 Gave lectures on the subject of Complimentary Medicine for students in the last course in medicine at the Valencia Faculty of Medicine. Theme: Acupunture Practices. Oct. 9 - 12, 2003 Presented a paper. Yinyang and Wuxing. Contributions of Yi Jing on Traditional Chinese Medicine Acupuncture of Yesterday and Today in the Congreso Iberolatinoamericano de Acupunctura in Buenos Aires, Argentina. Oct 3, 2003 Presentation of my book Apuntes de Medicina China published by Miraguano. Ediciones de Madrid. The presentation of the book and the author (Dra. Electra Peluffo) was made by the Cultural Councillor of the Town Hall Sr. Pau Reig at the Casa de Cultura in Denia, Alicante. Oct. 2 2003 Presentation of my book Apuntes de Medicina China published by Miraguano Ediciones of Madrid. Dr. Ramon de Cardenas, delegate of the official College of Doctors of the Marina Alta, presented the book and the author (Dra. Electra Peluffo) in the Sala Altamira at the Universitaria Ciudad de Alicante. Oct. 2003 have been given the post of correspondent in Spain for the Magazine of the Argentinian Society of Acupuncture covering an interchange of news, articles, and works on this topic. May 2003 Author of Apuntes de Medicina China published by Miraguano Ediciones Madrid, Spain. Jan. - May 2003 Gave a Masters course in Naturalistic, Homeopathic and Acupuncture (acupuncture section) Medicine in the Valencia Faculty of Medicine. Dec. 2002 Started active collaboration in the programming of concerts, conferences and activities related to music of l'Esperanca Coronada a society affiliated with the Ateneo de Denia and participates in the organization of these events. Nov. - Mar. 2003 Teacher and coordinator of the First Course of Acupuncture and Moxabustion at the Official Medical College of Alicante. Jan. - June 2002 Organized and dictated monthly private seminars for doctors on theory and practice of Acupuncture. Jan. - May 2001 Valencia Faculty of Medicine. Lectured for the second course Diploma in Naturalistic, Acupuncture and Homeopathic Medicine. Jan. - May 2000 Valencia Faculty of Medicine. Lectured for the inception of a course leading to a Diploma of Naturalistic, Acupuncture and Homeopathic Medicine. Feb. 1999 Gave a course on Natural Medicine (acupuncture section) at the Official College of Doctors of Valencia. Feb. - Mar. 1998 Seminar on the Theory of YinYang and the Five Movements in relation to the Yi Ching. Official College of Psychologists of Valencia, Junguian Psychological Section. 1998 Continuation of seminar on Yi Ching. June 1999 - Nov. 1999 continuation and end of seminar on Yi Ching.Oct. 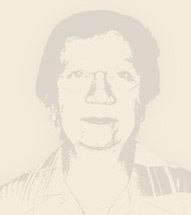 1996 - 1998 Coordinator of the Group of Studies of the Marina Alta Region of the College of Doctors of Alicante. (Training continuing). From 1988 to 1998 took part annually as only teacher in the geriatric course for ATS and auxiliaries at the Red Cross Clinic in Denia, Alicante. 1984 - 85 Instructor of Practical Works for Students in the acupuncture course organized by the French School of Acupuncture and chaired by Professor Benlloch Zimmermann in the Faculty of Medicine in Valencia. Oct. 1982 - Mar. 1983 Gave a course of lectures on Acupuncture Training for Doctors in the Faculty of Medicine, Granada, Spain. 1973-1976 Interim specialist for Heart and Lungs at the National Health Group Practice in Denia, Alicante, Spain. 1971 Diploma in Health from the Escuela Nacional de Sanidad, Madrid, Spain. 1971 Specialist in Heart and Lungs at the Escuela Nacional de Enfermedades de Torax, Faculty of Medicine, Madrid. Diploma in Acupuncture and Moxibustion from the Academy of Chinese Medicine, (Hospital Guang An Men, Prof. Ye Chenggu) Peking, China. Jan. 1965-1967 translator of resumes from English to Spanish on articles published for the Chinese Medical Journal in Peking, China. Sept. 1964 - May 1967 worked translating English to Spanish and correcting style for the Foreign Languages Press in Peking, China. Buenos Aires, Argentina:Degree in Medicine from University of Buenos Aires, Argentina in 1961.